Access-A-Bus clients may soon be able to get a ride on the same day they need it, instead of booking in advance. The Access-A-Bus Continuous Service Improvement Plan was approved by the transportation standing committee on Thursday. The plan aims to create next-day or same-day service for riders who can’t use regular buses. 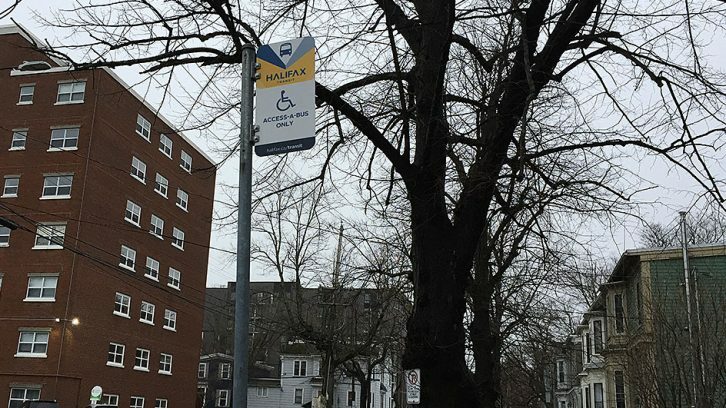 “That is something that they’ve made very loud, very clear, that our customers are expecting from us,” said Mike Spicer, Halifax Transit’s manager of operations at the meeting. Creating a same-day service requires reducing last-minute cancellations, Spicer said. Part of the problem is Access-A-Bus clients are booking several trips at once, trips they might not necessarily need. Those trips end up getting cancelled last-minute, making for an inefficient service. “We want to eliminate that the best we can,” Spicer said. Technology updates outlined in the plan will also help with service improvements. Computers will be installed in the busses so operators can access their schedules digitally, instead having to rely on paper manifests. If the plan moves forward, Access-A-Bus eligibility requirements may also change, but they wouldn’t come into effect for at least a year. Currently, Access-a-Bus has around 2,000 eligible riders. All members of the standing committee were in favour of the plan. The Continuous Service Improvement Plan will now go before Halifax regional council for final approval at later date.